Two complete sets from each series (making a total of just 1,000 numbered sets available). A complete (six card) set of Jules Verne "Gallery Cards", depicting other Jules Verne classics. (These feature a special spot finish). 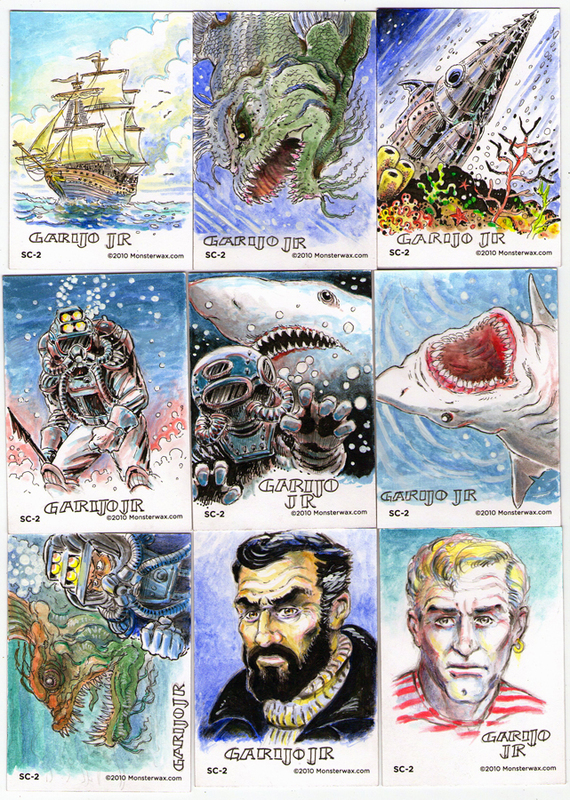 A complete set (BC-1 & BC-2) of Bio cards (one for Jules Verne, the other for Ricardo Garijo, Sr.). 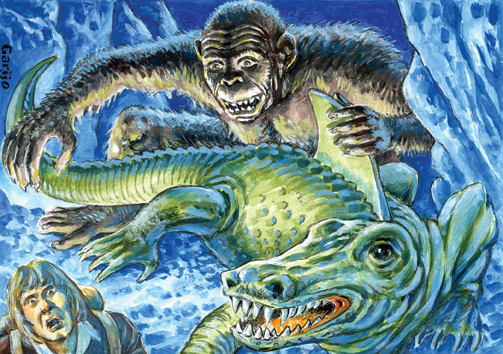 A complete set (V-1 & V-2) of embossed "Verne Visions" cards. One of two different sketch cards by Ricardo Garijo, Jr., (son of Ricardo Sr.). 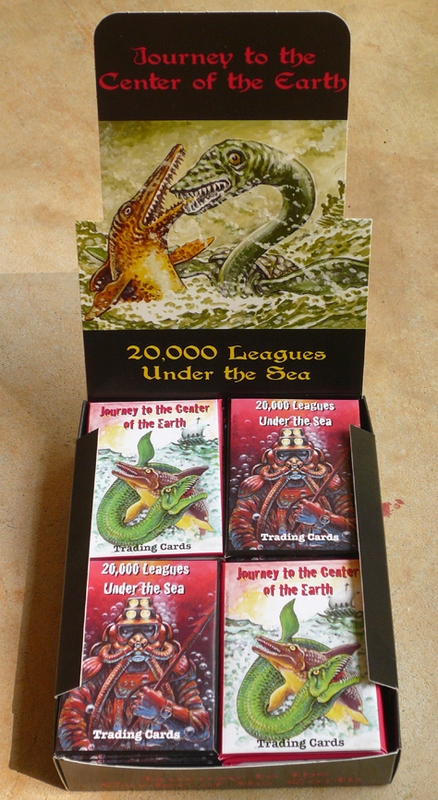 Odd #ed boxes have SC-1 (Journey) and even #ed have SC-2 (20,000 Leagues). 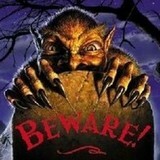 Every other box will also include a Monsterwax Metal card (one of the original printing plates) or a prize card. We also post on Facebook, so feel free to join us there! You can also listen to the UK CardCast program on this product. 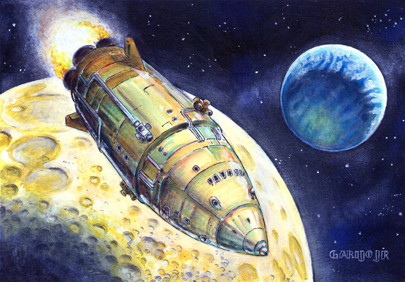 G-1 Gallery card, "From Earth to the Moon"